Earlier this month we blogged a very special request. 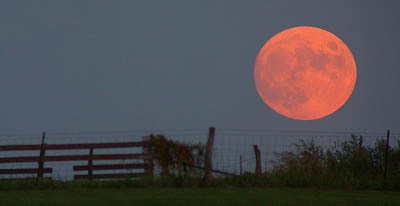 So be sure to make a wish for Harvest Moon tonight in Brisbane, Queensland, Australia. Yes, I will think about it. Thanks for reminding. News just in from folks who are there - Neil did play Harvest Moon! Thank you so much, Neil. Thank you so much Neil Young. The biggest respect in the world. I am so amazed, grateful and blown away that you played Harvest Moon tonight. I think the crowd loved it too! I'm thrilled, that Neil really played Harvest Moon, it is just awesome. Neil introduced Harvest Moon as being an internet request. "Who'd have thought that when i started i'd be doing internet requests"
From Barack to Neil: "YES WE CAN"!...and he did.